William Orem’s short play about the American dating scene starts shortly after two singles have met. They are already a cozy pair in the middle of a trial date. Janet has just shared a personal story, which elicits the comment. In 10 short minutes, the awkward-but-eager sharing turns tense and ultimately, violent. Orem’s tightly written script spins light into darkness through the familiar rituals of a first date and a system for dating rating. It offers teaspoons of personal information that add up to pillars of discomfort and anger. 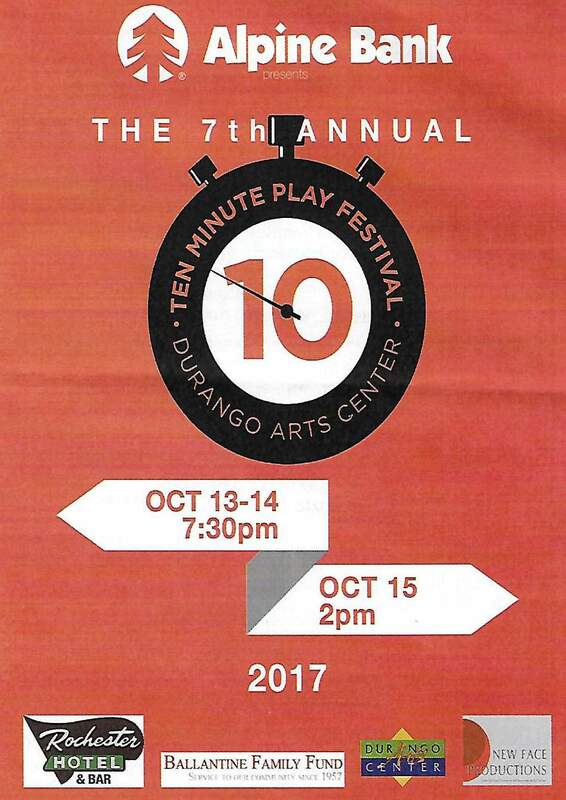 No wonder Orem’s play won the 2017 grand prize last spring at the Ten-Minute Play Festival’s staged readings. Orem is senior writer-in-residence at Emerson College. Directed by Mandy Gardner, who played the role of Janet in the staged readings last summer, the drama unspooled with excellent performances by Largent and Gilbert. The People’s Choice award went to “Where’s this Train Going?” by California writer Bruce Guelden. Set in a New York subway, the play focuses on a seemingly innocent encounter between Monica, a tourist (the wonderful Helen Gregory); Jack, a seasoned New Yorker (the inimitable Miles Batchelder); Stephen, a rider (Derek Ryter); and two silent riders (Jack Meigs and Shaunibah Morfin), director Marc Arbeeny’s addition for ambience. Again, a tightly written script leads to a revelation. Mixing humor with telling detail, it was obvious why the play won the audience favorite last summer. The cast carried off a believable scam with considerable subtlety. The four remaining plays didn’t quite rise to the double measures of a well-written script and a polished performance. “Good Things,” by Peter J. Stavros of Louisville, Kentucky, came close. A father-son hospital encounter (marvelously realized by Gordon Thomas and Dan Groth) stirred discontent in equal parts with humor. “Crisis in Character,” by Scott Lummer of Santa Rosa, California, developed a multilayered conceit about characters playing actors playing characters and engaging the playwright in the middle of a rewrite. Somewhat confusing for a short form, the play made Director Jeannie Wheeldon’s job difficult. “The Truth about Spicy Cajun Curry,” by Erin Glenn-Hash of Lincoln, Nebraska, took the layering conceit in another direction. Director Theresa Carson flashed forward and back between a couple and a therapist, split into two layers, Superego and Id. It’s a fascinating idea, and the actors did a creditable job, the director using the device of freeze-framing to the play’s advantage. Carson, organizer of the festival, spotlighted a local writer by inviting Patty Templeton to present “War Report of Prof. Adventure.” The work opened the program and featured Director Joy Kilpatrick as Mama and Dewa Ilg as her daughter, Nahla. Using large, black-and-white projections for a comic book about Prof. Adventure, a story of adult wartime anguish contrasted with a child’s outlook. The projections took center stage with the actors far to stage right – a stretch for a viewer’s attention. With three well-attended performances over last weekend, the 10-minute format looks like a winner for the DAC. Carson announced a call for submissions for the 2018 festival cycle.